This Adobe Photoshop tutorial will turn your photos into line art with just a few quick steps. You find that this tutorial works well for most objects! First you want to isolate the object and delete the rest of the photo i.e the background. 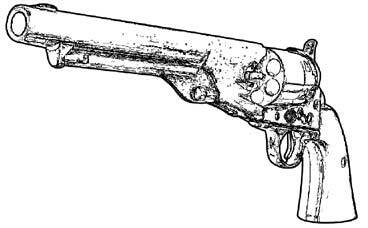 To cut out the gun I use the Pen Tool. Now to some-up how to use Photoshop’s pen tool in a few sentences isn’t easy…if you have never used the pen tool before, do the PEN TOOL TUTORIAL first. 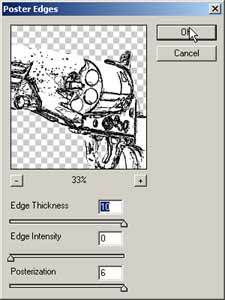 Remember to make sure the pen tool is set to create a Work Path See below. Take the pen tool create a path around the gun. Now go to your Paths palette. 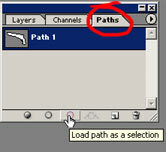 (There are 3 tabs on the Layers window, so click on the Paths tab to reveal the Paths palette. See image below). Load path as a selection. (Click on the dotted circle button at the bottom of the Paths palette). See the image above. 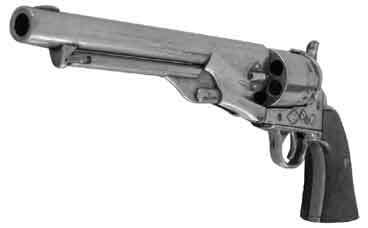 Go back to your “Layers” palette and rename this new layer “gun”. 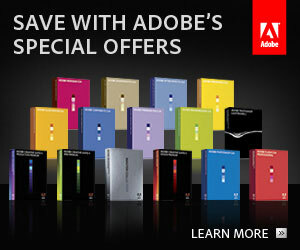 Create a new layer ( ). 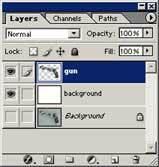 Rename it “background” and place it below the “gun” layer. See image below. 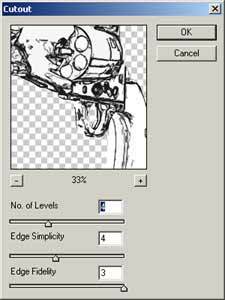 (Although it’s not 100% neccessary to desaturate the image, you’ll find that you generally achieve better results if you include this step). 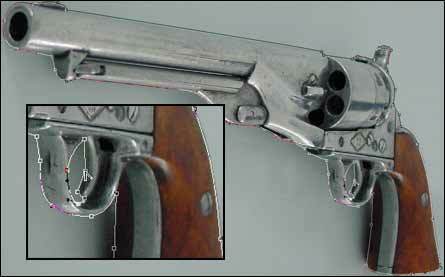 Working on the “gun” layer apply the Smart Blur filter. Set the Quality to High and the Mode to Edge Only. Adjust the sliders for the Radius and Threshold while watching YOUR preview. When you achieve the desired result click OK. My settings are shown below. 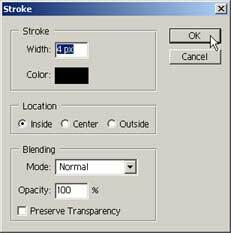 Apply a black stroke to your “gun” layer. Adjust the Stroke Width to suit YOUR picture and click OK.
You could stop there because it’s probably looking great now but let’s make it fantastic! 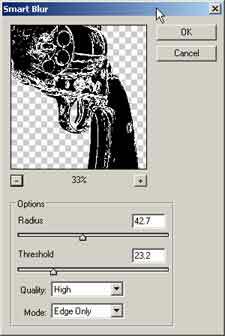 Apply the Cutout filter with settings similar to what is shown below. Inevitably you will have a few unwanted squiggles here and there. Just clean them up using your paint tool if you want it perfect. I hope you found this Photoshop tutorial helpful. Feel free to contact me via my contact page if you have any questions.